As you know I love me a good juice cleanse. But, sometimes I just want one or two fresh and tasty juices without having to own a juicer, buy produce, make juice, and clean up said juicer. Because I am the luckiest person in the world, OF COURSE the world’s best juicery, aptly named Juice Shop just opened around the corner from my house. My faves are the deep green and the beta beet. Aren’t they a pretty pair? 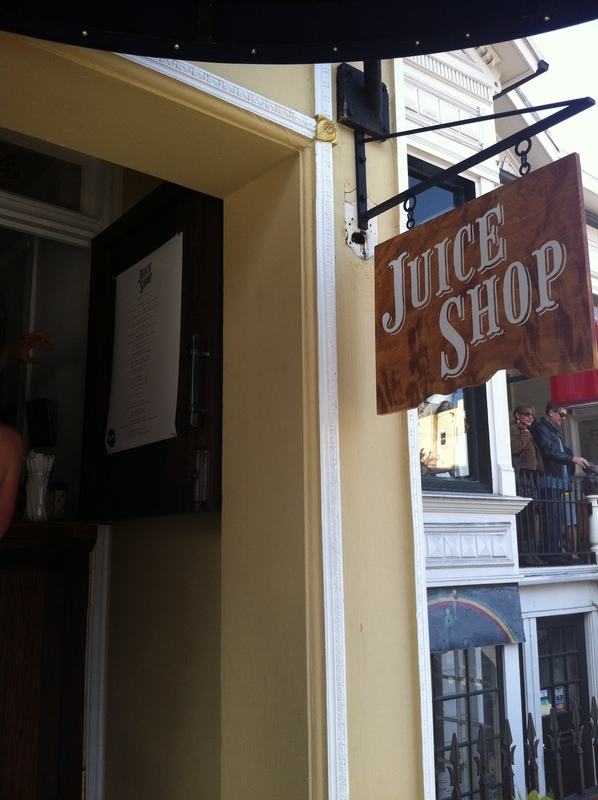 🙂 Now I know not all of you have access to this place in SF, but my hope is that this post inspires you to drink more fresh and raw and awesome juices no matter where you are. They are filled with nutrients and will give you energy to get through the rest of the week. Happy Monday, everyone!